Josh Elliott is not just another landscape painter. His shadows fairly leap off the surface. His skies light up the entire space. His sense of place is so spot-on as to be wht a landscape should be - better than a photograph, with innuendo and history. He portrays an impression of the land without losing the truth of it. He takes us from remote and unassailable places to the working life of a farmer with poetic easiness , In this time of technology without end, Elliott reminds us to take in the natural world, to see an even to protect its wonders and infinite beauty. 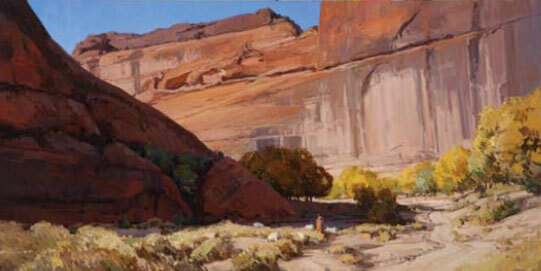 Elliott has been awarded the Artists' Choice Award, Quest for the West, 2011; the Ben Stahl/Best of Show Award, Western Rendezvous ofArt 2010 and2011; the Palette Award, Quest for the West, 2008; and the Edith Hamlin Award, Maynard Dixon Country, 2007. His solo exhibits include shows at the Claggett/Rey Gallery, Vail, Colorado; Medicine Man Gallery, Tucson, Arizona; and this year the Claggett/Rey gallery will show his March 2012 Landscapes of New Zealand. 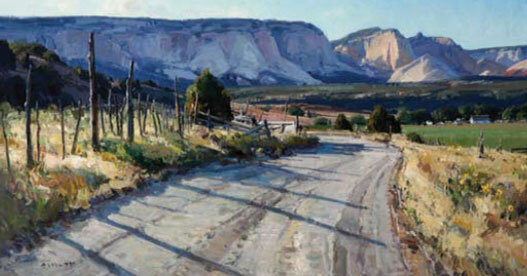 His work has appeared in the Prix de West, National Cowboy and Western Heritage Museum, Oklahoma City, Oklahoma; American Masters, Salmagundi Club, New York City, New York; American Landscapes, Arti et Amicitiae, Amsterdam, Netherlands; Quest for the West, Eiteljorg Museum of American Indians and Western Art, Indianapolis, Indiana; The West Select, Phoenix Art Museum, Phoenix, Arizona; Maynard Dixon Country, Thunderbird Foundation for the Arts, Mt. Carmel, Utah; and Western Rendezvous of Art, Montana Historical Society, Helena, Montana. 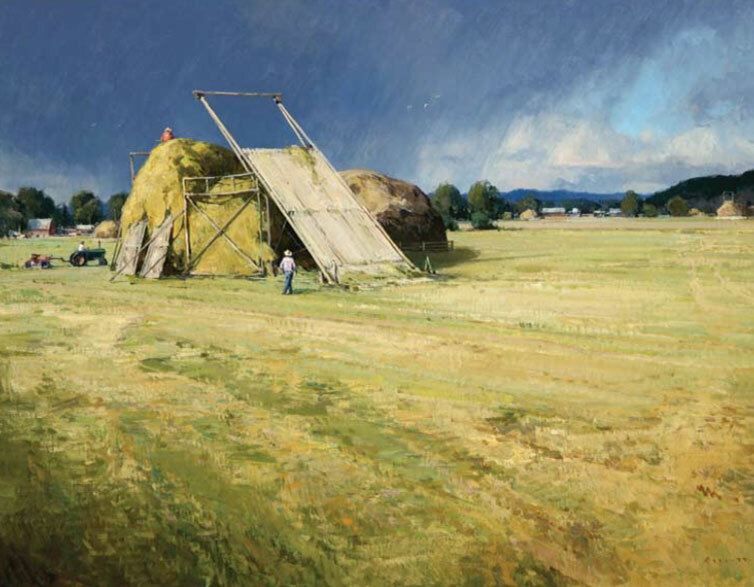 He is represented by the Claggett/Rey Gallery, Vail, Colorado; Medicine Man Gallery, Sante Fe, New Mexico, and Tucson, Arizona; and the Simpson Gallagher Gallery, Cody, Wyoming.